China isn’t the world’s biggest economy just yet, but it’s already the world’s biggest app economy. The opportunities for mobile advertisers and app developers are enormous, as no country can match the scale and growth potential of China when it comes to mobile. As favorable as some of these trends are, there are challenges in this lucrative market. Room to Grow: China’s smartphone user base is almost as large as the US and all of Europe combined. However, the smartphone adoption rate is behind most countries. But not for long — soon the adoption rate will rival the US. Unique Usage: Smartphones are especially important in China. QR codes are often the preferred form of payment and Chinese users have the highest number of installed apps on their phones compared to other countries. Lucrative Customers: On a per capita basis, China isn’t the richest country in Asia. However, China enjoys the highest eCPMs in the region. 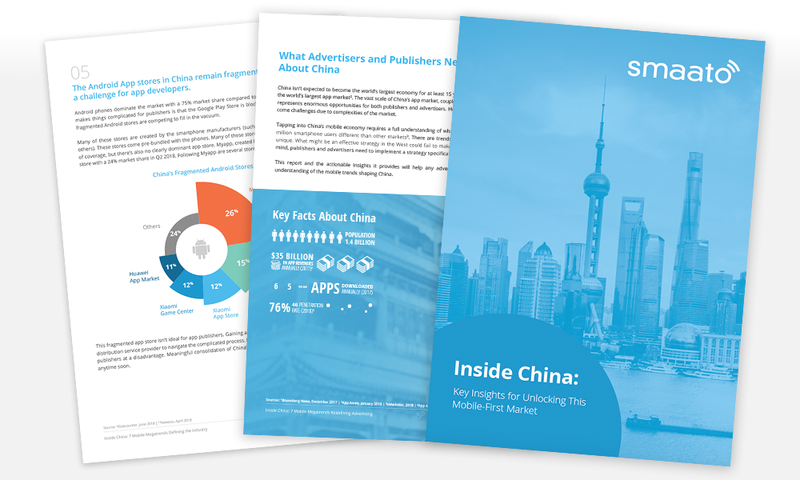 Chinese audiences are in demand by advertisers, which helps publishers monetize their apps. Complex Regulations: Government regulations are especially complicated in China and these laws can change quickly. Learn the rules that affect publishers and advertisers.